Short-Lived Perennial. Zone 4. Polemoniaceae. Arizona, New Mexico, Texas. This is a Jacob’s Ladder with a difference. 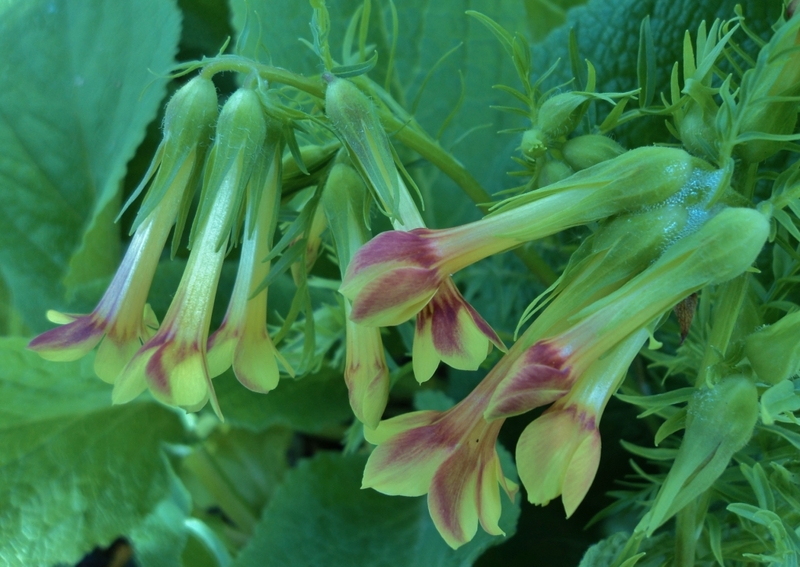 Instead of the usual clusters of blue and lavender wide-open flowers, P. pauciflorum produces graceful downfacing sulphur yellow trumpets, blushed with dusky red. The specific name, pauciflorum, translates as “few-flowered”, but this is a relative designation. There may be few in each cluster compared to the dense arrangements of many of its relatives, but there are many blooming stems produced. So many, in fact, that Yellow Jacob Ladder frequently “blooms itself to death”, fading away completely after its exertion. Delicate, many-leafleted foliage in lush 12-inch wide clumps. The graceful flower clusters on slender, 12 to 18 inch stalks appear in spring and early summer. 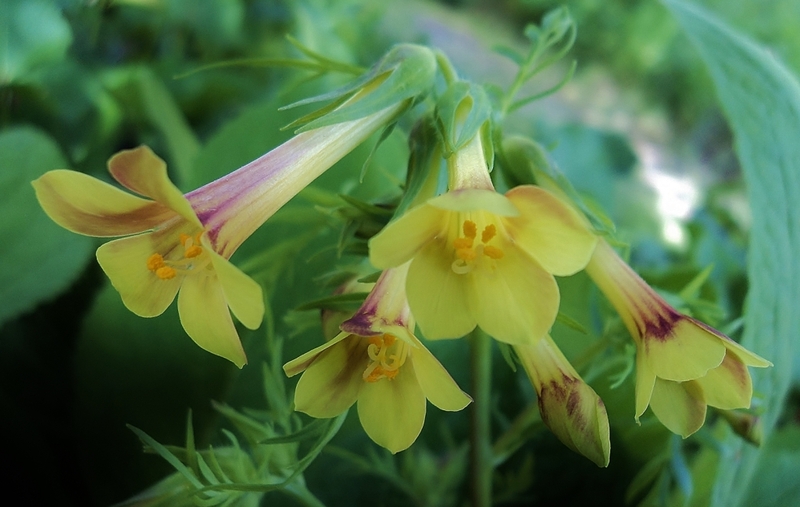 Polemonium pauciflorum frequently blooms profusely in its first season, so may be treated as an annual, though technically it is perennial. Allow it to set seed and self sow to ensure its continued presence in your garden. If collecting seed for sharing or growing out, be aware that it has a short viability period in dry, cool room temperature storage, of 6 months to a year at most in my experience. Sun to light shade; average soil and moisture.